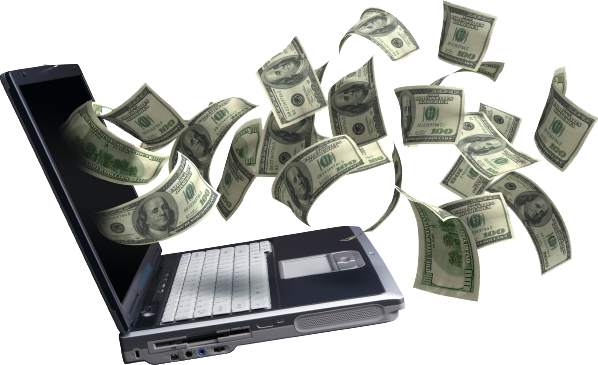 There are many authors who earn extra income while their books are waiting to be discovered. This new breed of authors are called "Authorpreneurs". Some earn through their blogs and affiliate marketing, some are Editors, some make videos and earn through advertising.... but the easiest and surest way is through Freelance Writing. It stands to reason, that an author who had the chutzpah to publish a book would be a decent writer, right? Freelance writing though is a different animal. There is no editor to polish your work. It's just you and the client - and the client is certainly not going to edit your work. That is the problem. Authors are used to indulging in their creative freedom, and relying on their editors to polish their manuscript, which is a disadvantage in freelance writing, where you're on your own. But hey, anything can be learned by anyone determined enough to make some decent money. We all know that self publishing is not a SOURCE of income at first (or ever) What's an author to do? Be a Freelance Writer. I recommend Authors to look into this option for many reasons. What skills do writers need to have anyway? Non Fiction writers need to know how to be informative and inspiring. Fiction writers need to be great storytellers. Bloggers need to be interesting and write relevant material to gain subscribers. Vague descriptions which can mean anything. But successful freelance writers have one thing in common - they know how to catch a reader's attention and string words together to come up with something that's worth reading. Professional writing hones these skills in all writers. Aside from being a source of income, freelance writing is a good writing school. Why? As mentioned, authors often just write whatever comes to mind, not thinking of word count, word padding, grammar, spelling and the like - they have editors to do that for them. Paid writers need to think of all those things themselves. They have to write according to a client's specifications. With a budget of only x number of words, every word should count. When you're used to writing this way, a writer learns how to use only the words needed to deliver the information or the emotion. Most writers ramble on, which is a bane for us Editors, really. When you're paid to write, words are valuable and you use them sparingly. The client pays for the number of words, and they are very paranoid about word padding (using extra words to meet the word count). As an example, I've ghostwritten dozens of eBooks where you need to discuss a topic thoroughly in as little as 3500 words, which is the shortest eBook I've been contracted to write. That's not easy. A quality eBook, no matter how short, needs to give the reader something valuable as a takeaway. So, my writing is always focused and geared towards the goal of the project. I don't have the liberty to ramble on and on. The sentences are short, crisp, powerful and informative. You learn to use the best words to get your message across. A freelance writer needs to create material that is free from bias and personal opinions. They should be factual and discuss from society's point of view, not their own. This discipline helps a writer grow in perspective and teaches them to argue and deliver their message without offending readers. These free lessons and the extra income are enough reasons for authors to look into how they can get paid to write. It's a win-win situation. You earn and hone your craft at the same time. There are many freelance writers but very few are successful. The points that I mentioned above are not easy and they require maturity, researching skills, and a way with words. But the income potential for good writers cannot be discounted. It is real. I can fully attest to that. I quit my day job to be a freelance writer full time (after more than a year). When you meet client requirements and produce quality work, they will stay with you. With this income flowing through the coffers and paying the bills, an author gains the luxury of writing their own books to their heart's delight, on their own terms. Sounds like a good deal to me. I have a book where I detail the steps needed to start a stable freelancing career. I know that there are many out there who gets lost in the maze of options, and often fall for scams - not knowing where to start. It's not a get-rich-quick kind of book. It's meant to get you started, skipping all the nonsense being offered to gullible and inexperienced freelancer wanna-bes. 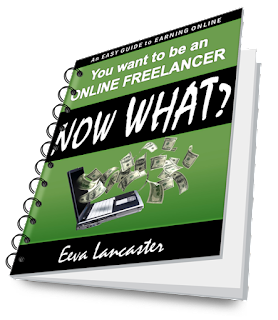 You Want To Be An Online Freelancer... Now What? will help you launch a freelancing career, with the right mindset for success.